July 27, 2017 – Vitamin D deficiency in pregnant moms is shown to negatively affect fetal growth and children’s health in the long run. Deficient gestational vitamin D status is surprisingly high both globally and in the US. One of the findings that draws attention is the role of vitamin D during pregnancy in children’s chances of developing Autism Spectrum Disorders (ASD). Vitamin D is acquired through sun exposure or food intake. The circulating form of vitamin D can travel through the fetal-placental barrier, thus, developing babies depend solely on their mothers for getting this beneficial nutrient. A group of researchers from Australia and the Netherlands recently showed that mothers with vitamin D deficiency during mid-gestation are more than twice as likely to give birth to an autistic child. 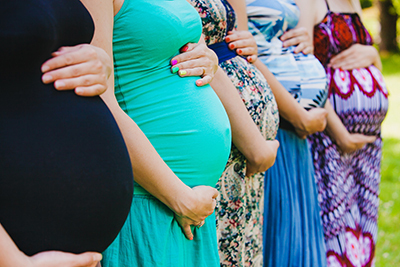 The study was carried out on a group of 4334 pregnant women from different ethnic backgrounds. In the group, 16.5% of the subjects were deficient in vitamin D during mid-gestation, while 25.9% had higher vitamin D levels although not reaching the optimum levels. Compared with mothers with optimum levels of vitamin D during pregnancy, those with deficient levels were 2.42 times as likely to have their children diagnosed with ASD later in life. A Swedish group of researchers conducted a population-based study where they looked into the health records of more than half a million Swedish-born children and similarly found that maternal vitamin D deficiency status is a potential contributing factor for ASD, especially for children with intellectual disability. The approach taken by this group is less direct, as they extrapolated vitamin D status during pregnancy by using secondary care records from the mothers. However, a wide variety of confounding factors were taken into consideration so that their result still warranted further investigation of the causal relation between maternal vitamin D and ASD. Taking a different approach, researchers looked into 58 pairs of siblings from various ethnic groups. One sibling in each pair was diagnosed with ASD and the other not. Vitamin D levels were measured from blood that had been collected immediately after birth. The results show that children with ASD have significantly lower vitamin D levels at birth than their paired siblings. Because fetal vitamin D status is directly determined by the mothers, these results indicate that vitamin D status among pregnant women is closely linked to ASD risks for babies as they grow. The current dietary recommendation for vitamin D is 600 international units (IU) per day according to the US Institute of Medicine. Unfortunately, the recommendation is sufficient only to maintain optimum bone health, while evidence for a proper level of vitamin D to maintain extra-skeleton functions is lacking. Thus, it is urgent that more efforts are made to further study the causality between vitamin D and many health outcomes, such as immune function, neurological development, birth outcomes, and reproduction. Fernell E, et al. Autism spectrum disorder and low vitamin D at birth: a sibling control study. Mol Autism. 2015 Jan 14;6:3. doi: 10.1186/2040-2392-6-3. eCollection 2015.